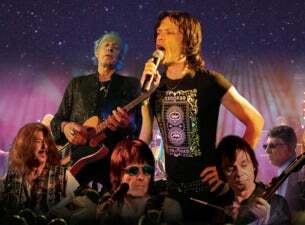 Featuring an all British cast, The Rolling Stones Story pays tribute to Mick and the boys. A must-see show for Stones fans and lovers of rock'n'roll, it takes you back to London in 1962 when the band was born and through their journey now 50 years on filling stadiums around the globe. Having led a cultural revolution and transformed rock music, The Rolling Stones are an institution. To celebrate the music of the world's greatest rock band, The Rolling Stones Story tour hits the road in 2018 with a brand new production featuring all the classic hits and faithfully recreating the excitement of a real performance.